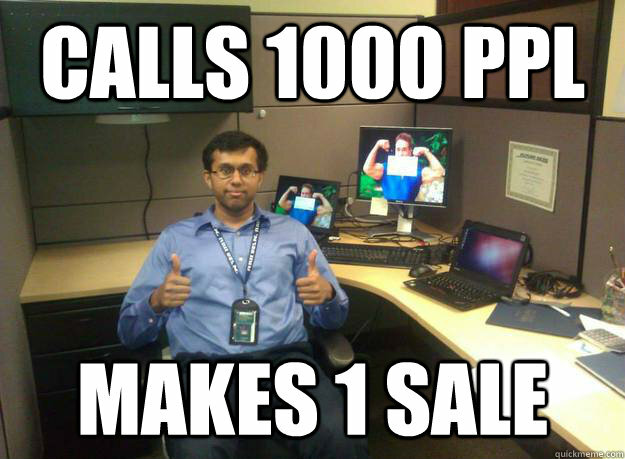 Let’s be real here – how many of you actually like getting those sales calls, or even like having salesmen at your door? Some schmuck randomly shows up at your doorstep, as if we were time warped back the late 80s or mid 90s, with a product or service that we would most likely never need? A lot of us really don’t need this in our lives in 2017, especially because we don’t like our day to be disrupted, or our time wasted with something we don’t want. Time is precious, but that doesn’t stop these phone calls coming, does it? Now perhaps from a sales point of view, being persistent in continuously contacting someone until they say “YES”, may be used as a sales method, but to everyone else, it’s nothing but an inconvenience. For some reason, a lot of these people just don’t understand what the word “NO” means, and will constantly call you, thinking that you’ve miraculously changed your mind overnight, and are now willing to buy whatever it is that they’re selling, all for the sake of getting their own commission. Most times, telling them to take you off their contact list can help, but if not, there are now ways to report them if the problem still persists. You’ve got to feel just a little sorry for those who call up potential customers, only to be told to sod off and to “get a real job”. Sadly, there are some companies out there who only ever offer commission-based salaries, so if they’re not able to reach their sales target, they’re screwed. We question how this kind of salary is still legal, really. However, we can’t feel too sorry for them, especially not the arrogant assholes who show themselves off in a fancy suit and job title, as if they’ve got the best career and lifestyle, when in reality, they’re phoning up and bothering random strangers. They’re like flies – they’re annoying and no one likes them. Oh, and that fancy suit? They probably just got really lucky on the sales commissions once, or it’s just a really good looking one from Marks and Spencers. Now, we’re not saying all these companies are fraudulent, but there are some calls you should be weary about. For example, if you Google the number calling you and don’t find a company website or even a contact page, that can be a potential warning sign. Plus, if you find that the results show other people complaining of the so-called “company” being a scam, then stay well clear of it. Cold calling is a common method for scammers, so always make sure that the person you’re talking to is who they really say they are. It may be more expensive, but the truth is, practically no one likes cold callers. Advertising through social media was free last time we checked (or just a small fee if you want your post to be sponsored), so why is cold calling still a thing? Who knows? We just wish it would go away already. In retrospect, not to crush their feelings entirely, you can always tell them to call back at another time. These were our reasons why we greatly dislike cold callers. 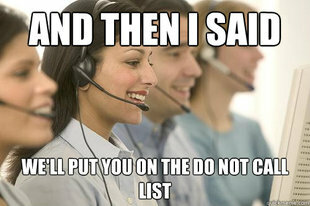 We wish it to just end so we could be spared from all these bothersome and tiresome calls. What’s your reasons for disliking cold callers, and do you have any stories to share? Let us know in the comments section below. Previous Article← Happy Election Win Anniversary, Donald Trump!